So what did I think of SXSW? Like a music festival but for business. Instead of muddy Somerset fields there was a shiny Texas conference centre. Same hit and miss food. Fried broccoli anyone? We went out there with Chris Thurling and a delegation from Bristol Media. It’s just as a great an event for bonding with current contacts as for making new connections. With so much going on we could only hope to see a tiny proportion of the events. Lisa-Marie at The WOW Factory, Sony's innovation lab at SXSW2017. I loved the Sony exhibition, where among other things they were showing off virtual musical instruments. Devices that projected a keyboard or drum kit onto a table and you could have a tinkle on the piano or drum to your heart’s content. There were also fascinating talks from Gary Vaynerchuk (doing a Q&A) and Adam Grant on business skills like building a successful team and interview technique. The thing that I will take most from SXSW though, was seeing ForrestBrown client Uniform talking as part of a panel on what the role of Artificial Intelligence in sport will be. Uniform are a design and innovation company who use design, innovation and imagination to create change. I know that sport and fitness is something close to MD Nick Howe’s heart – he is currently training for multiple back-to-back marathons! Whether for pro athletes, weekend warriors, coaches or spectators, AI will affect our relationship with sport. The panel explored how these worlds of sport and machine learning will collide. 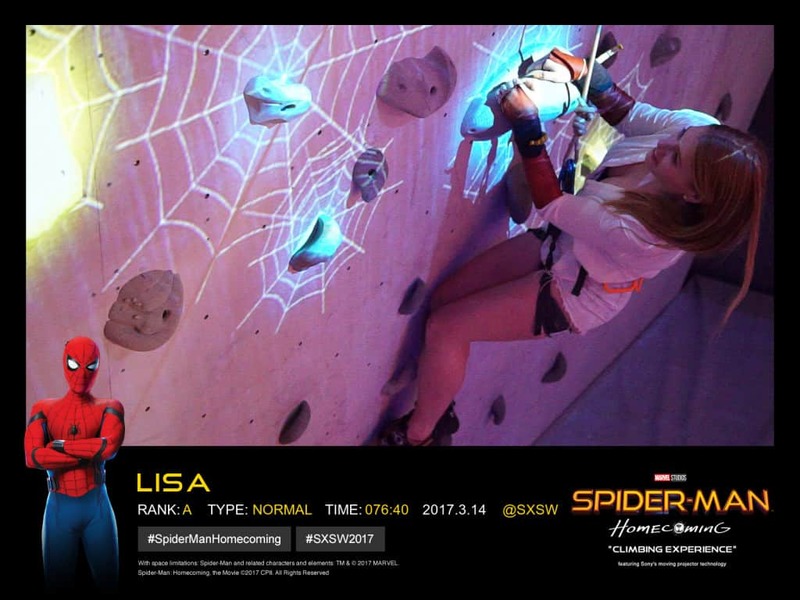 Lisa-Marie climbing the Spiderman wall at SXSW2017, featuring Sony's moving projector technology. How will we train when we know our body’s every biological detail? How will we coach when we can anticipate six moves in advance? Can we create AI tools that keep us skilled fit and happy? Reflecting on what they said, the biggest thing for me was how much technology apps (which often include some level of AI) have already become the norm. If I cycle to work, I don’t set off before I have activated Strava. It wasn’t all fried food and tech talks. Simon and I used some of our free time to run, working up to a 10K. The ForrestBrown team is running the Bristol 10k on 7 May 2017 and so it was a good training opportunity for us. We used technology (Strava again) to track what we did and push us. By the end of the five days we had clocked up 25 miles each, including 10K on the last day. Did technology help? Definitely! It pushed us to keep going and surpass what we would have otherwise achieved. Retrotech is on the rise. Nostalgic returns to once loved technologies that have been rendered near obsolete by innovation over the decades. Sometimes retrotech is a revival of the original technology, other times it is a reimagining of bygone products using modern design techniques, materials and processes. After numerous false starts, virtual reality technology hasn’t turned our lives into an episode of Star Trek so far. But is that about to change? What a week it has been at SXSW in Austin, Texas. I certainly didn’t know what to expect when I arrived and it is hard to digest all that I’ve seen, but I have arrived back in the UK with a few takeaways. So, all in all a great eye-opening experience. The talk that gave me the most enjoyment was given by Casey Neistat: From YouTube Star to Media Company Co-Founder. 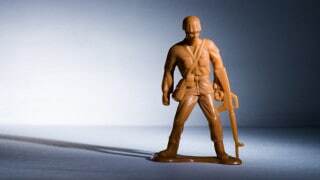 The UK defence industry is a formidable part of our economy. As part of the wider aerospace, defence, security and space sector it contributes to a £65 billion turnover, £35 billion of exports, 340k direct jobs and 10.4k apprentices.